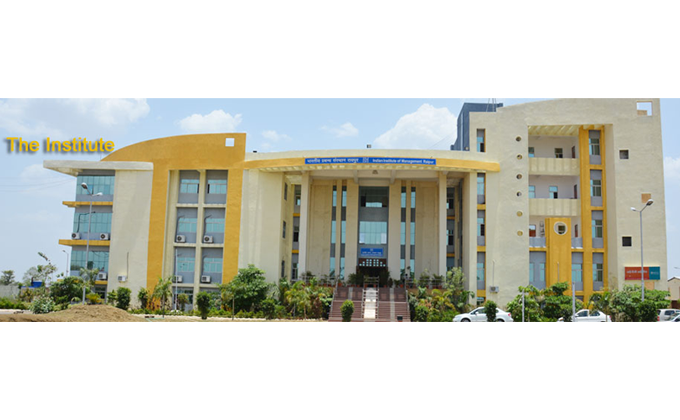 The Indian Institute of Management (IIM) Raipur, in its pursuit to contribute to the ‘Quality Improvement in Higher Education’ began the 7th six-day ‘Faculty Development Programme (FDP) under Technical Education Quality Improvement Programme (TEQIP-II) on Monday for faculty members at different levels from 15 Engineering institutions from states of – Maharashtra,West Bengal, Odisha,Jharkhand, Biharand Chhattisgarh. The day began with the introduction and the participants were introduced to the six-day program. Prof. PRS Sarma briefed about the background of TEQIP-II and what could be the key takeaways from this programme. He urged the participants to allow the facilitators to work on them so that they can take maximum benefits from the six days programme. An ice-breaking session was subsequently conducted by Prof. Atri Sengupta, where the participants were made to become acquainted with each other through game-playing methods in order to break the communication and other barriers that exist among strangers. Followed by the ice-breaking session, there was a session on Vision, Mission and Strategic Reconciliation in Academic Institutes. In the session, Prof. Saurabh Pandya discussed about the various facets of Vision and Mission in an institute. This was more of an interactive session with the participants in which participants shared their experiences. In the post lunch session, Prof. B.S.Sahay, Founder Director, IIM Raipur, discussed the scenario of Technical Education Institutions in India and the overall picture of Engineering Education. Some important concerns about engineering colleges in India and important attributes of top engineering colleges in the world viz., Diversity of students, Diversity of Faculty, Global Curricula, Quality of Placements, Industry Interface, World-class infrastructure, Alumni spread worldwide, etc. were discussed in connection with the context of achieving excellence at the institutional level. Prof. Sahay stressed that academic institutions should achieve excellence by developing Visionary Leadership; Strategic Planning; Process Management; Students, Stakeholders & Market Focus; Faculty & Staff Focus and Focus on the future of the institution. Prof. Sahay concluded by explaining the barriers to effective administration at individual as well as the organization level. He urged all the participants to strive to overcome individual, managerial, operational, and technical barriers in the pursuit of achieving academic excellence.